Microsoft’s Azure business saw a 116 per cent surge in revenue for the three months ending September, with the vendor’s latest financials highlighting the growing importance of cloud in its broader market game plan. The company’s first quarter financial results, published on 20 October, revealed strong growth in its Office 365 business, which grew by 51 per cent compared to the same period last year, while its Dynamics and Server segments each delivered 11 per cent growth year-on-year. The big star, however, was the Azure business, which recorded a 116 per cent growth for the quarter compared to the previous year, bolstering the company’s continued focus on its flagship cloud product. According to Microsoft, Azure compute usage more than doubled for the quarter, on a year-by-year basis. At the same time, Windows OEM revenue was flat year-over-year, slightly ahead of the PC market, the company claimed. Windows commercial products and cloud services revenue was also flat year-over-year. Not all of Microsoft’s business segments saw the same sort of upward trend experienced by the Azure operation, with the company’s phones business recording a 72 per cent drop in revenue, and its gaming revenue for the quarter dropping by five per cent from the previous year’s result. The fall in Microsoft’s phone business comes as no surprise, with Windows smartphone sales plummeting by 76 per cent during the second quarter of 2016. Recent Gartner research highlighted the continuing demise of Microsoft’s smartphone, from 8.2 million devices shipped in 2015, to just under two million this year. While the phone business was down, Mircrosoft saw its line of tablets and laptops bring in $US926 million over the quarter, a rise from the $US672 million for the same period last year. Overall, the company saw a slight annual rise in revenue for the quarter, reporting total revenue of $US20.45 billion. Of this, Microsoft recorded a slight drop in operating income, to $US5.23 billion for the quarter, with net income for the quarter also falling slightly to $US4.69 billion. Microsoft’s latest results further validate the company’s cloud strategy, with Microsoft CEO, Satya Nadella, previously suggesting that the company is embracing a “mobile-first cloud-first” world. “The cloud is enabling a world where you can walk up to any supported device, sign in, collaborate, communicate and share your creations with the world. Doesn’t matter what you make, where you make it or what device you use. 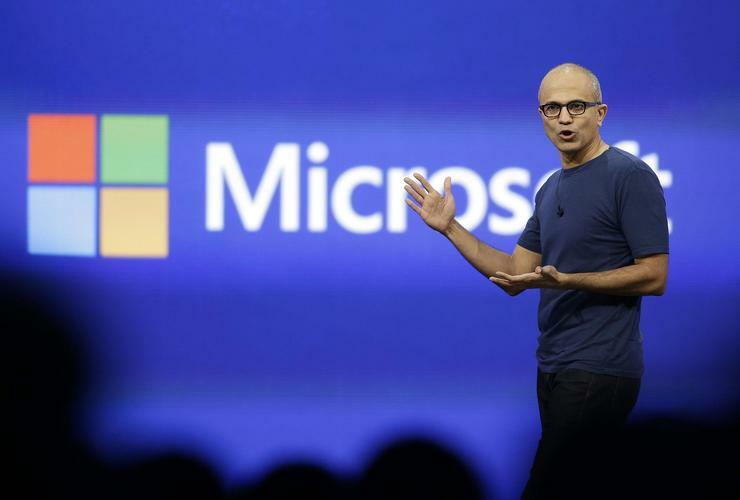 The cloud is there to help,” Nadella said in March. Certainly, Microsoft has made some big enterprise cloud plays over the past few months, with the company announcing plans in September for a strategic partnership with Adobe Systems Incorporated which would see Adobe deliver its cloud services on Azure, and Microsoft to make Adobe its preferred marketing services provider for Dynamics 365 Enterprise. Read more ​How can partners transform the technology conversation through financing? “Business leaders in every industry are focused on how to better engage their digital customers, wherever they are,” said Nadella at the time.